In addition, patients can be compensated for the daily physical pain and emotional suffering which can be excruciating and completely alter the patient’s quality of life. All of these costs – economic or non-economic – are called “damages.” When you can only claim a set amount of money for damages, that is call a “damage cap.” Different states have different types of damage caps. Some states limit the amount of non-economic damages, like Tennessee does. Other states have a complete cap on all economic and non-economic damages. Some states do not cap any kinds of damages. Some caps depend on the type of injury. Most states adjust awards based on inflation – the cap changes yearly depending on the inflation level. Most states do lift the caps if the medical provider such as a hospital or physician was “grossly” negligent. 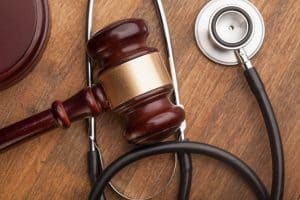 In Tennessee, there is a $750,000 cap for non-economic damages (damages other than medical bills, wage loss, and other quantifiable damages) for all types of injuries due to any action including health care liability. The $750,000 cap applies if the injuries were due to one single act or due to a series of errors. The cap also applies to derivative actions such as a claim by a spouse of the injured victim for loss of consortium. The cap does not apply if the defendant had a specific intent to cause the serious physical injury, or the defendant tried to evade liability by falsifying, altering, or concealing material evidence. The cap is also lifted if the defendant was under the influence of drugs, alcohol, or other stimulants/intoxicants that resulted in death or injury. In cases like these, the injury victim may also be entitled to punitive damages. Hospitals, physicians, nurses, technicians, and other health providers are required to provide competent and quality care to their patients. At Bailey & Greer, PLLC, our medical malpractice lawyers hold individuals and companies accountable for changing lives and causing the death of a loved one. We fight for injured patients and families who live in or near Memphis, Jackson, and West Tennessee. Call us now at 901-475-7434 or fill out our contact form to schedule an appointment.